Writing on Wednesday: Book Tour in April and May! This is the fun part. (Writing can be fun, but it’s mostly hard work.) 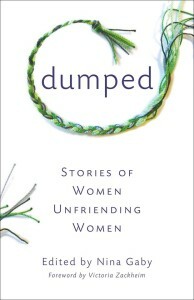 If you’re anywhere near Atlanta, Athens (GA), Memphis, Oxford (Mississippi) or New York City in late April or mid May, please catch one of these events for Dumped: Stories of Women Unfriending Women. My essay, “High School Never Ends,” is one of 27 gut-wrenching (don’t worry there’s also some redemption in there) stories of one of the greatest losses a woman or young girl can experience—the loss of a close friend. Not a boyfriend. And not by death or a change in geography, but by the choice of the friend to dump you. What have we all learned from this painful experience? I’m so thrilled to be hosting our wonderful editor, Nina Gaby, in Memphis and on the road with me to Georgia and Mississippi next month. 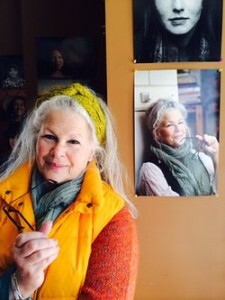 Nina is a writer, visual artist, and psychiatric nurse practitioner whose essays can be found in collections by Creative Nonfiction, The Best of the Burlington’s Writer’s Workshop, Seal Press, Wising-Up Press, and several periodicals. 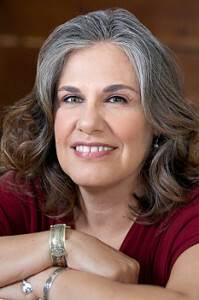 Her fiction has been published in Lilith Magazine, the Prose-Poem Project, and in short story collections. Her art can be found in a variety of collections, including the Renwick Gallery of the Smithsonian. She works, writes and lives with her family in New England. April 28—The Booksellers at Laurelwood (Memphis) 6:30 p.m. with Nina Gaby. Read more about the book here at the Booksellers at Laurelwood’s event page. See you on the road! If you can’t make it to one of these stops, please buy the book from your independent bookseller and write a review on Goodreads, Amazon, your own blog or wherever and let me know about the review. Thanks, everyone! Susan, this is what I call Level 3 of the publishing journey. It’s what you don’t think about as you are pouring words onto the page, revising, wondering if any of it it worthy of publication at all…. Then all of a sudden you are doing promoting of a product. What makes this so great is being on the journey with others, and being welcomed into such acclaimed bookstores with such wonderful compatriots. Thank you all!